Synchro Spinner – Artemis International Inc. The Synchro Spinner’s superior, sealed bearing system provides a smooth spinning motion that children can’t get enough of. 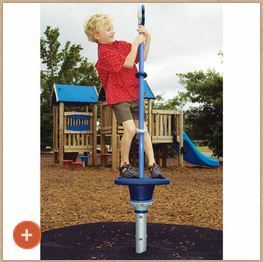 Kids quickly learn to control the speed of their spin much like figure skaters do, by leaning closer or farther away from the center pole of this playground favorite.